With international style buffet included! Planning a night out or a special occasion? Your guests will be sure to enjoy the exciting beat of our entertaining dinner cruise on Sydney Harbour! Come on board and let your senses be indulged with our explosive entertainment, tantalizing flavors, brilliant color and dazzling vibe! 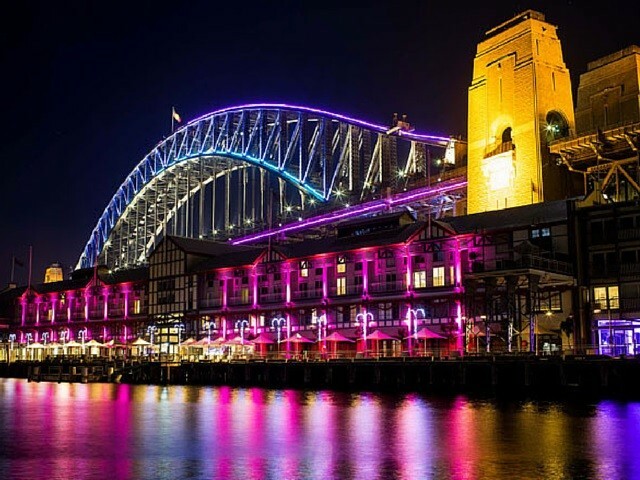 This cruise is great for anyone wanting a fun night out on the Harbour or those just wanting to capture the best views of Sydney's most iconic landmarks whilst enjoying excellent food and entertainment! Prizes and giveaways—lots of fun! What will I see on Australia Day with Vagabond Cruise? Breathtaking finale, featuring a spectacular live musical medley of Australian classics synchronised with jet skis and fly boards and culminating in massive fireworks display above Circular Quay.